One of the most interesting games this weekend is Chelsea vs. Everton in the twenty seventh round of the English Premier League. 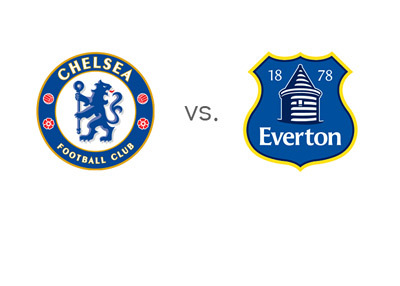 The match will take place on Saturday, February 22nd, 2014 at Stamford Bridge in London. Chelsea are in first place in the EPL tables at the moment, one point ahead of Arsenal and three points ahead of Manchester City, who have played a game less. After a memorable 0-1 win vs. City and a 3-0 thrashing of Newcastle, Chelsea managed 'only' a 1-1 draw vs. West Brom away and then they lost to City 2-0 in the FA Cup. Jose Mourinho and his team have had a full week of rest since their last game and will look for all three points on Saturday. With two thirds of the season already played, Everton find themselves in sixth place in the English Premier League tables. The way things look at the moment, they will have to battle hard for a spot that leads to the Europa League next season. Most recently, the Toffees beat Swansea 3-1 at home in the FA Cup, after losing to Tottenham away 1-0 in the league. Earlier in the season, on September 14th, 2013, Everton beat Chelsea 1-0 at Goodison Park. The Blues are the favourites to win at home, where they are undefeated this season in the Premier League. Chelsea are actually undefeated at home, under Jose Mourinho, in over fifty something EPL games. Eden Hazard has been on fire for Chelsea this season, but we did not see the best of him in the last two games. It will be interesting to see if he represents in full force this weekend. Romelu Lukaku, who has scored nine league goals this season, is back in training for Everton, after being out for three weeks with an ankle injury. The team coach, Roberto Martinez will not be able to count on his services vs. Chelsea, as he actually is a Chelsea player, playing on loan at Everton. The Blues have a big UCL clash vs. Galatasaray on Wednesday, but this should not affect the lineup on Saturday, as players will have enough time to rest between the two games. Should be a good one on Saturday! The kick-off is at 12:45pm.